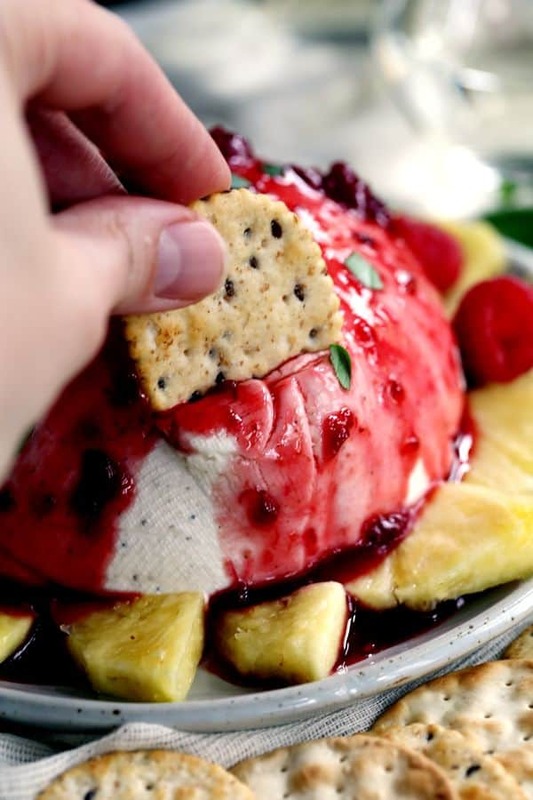 No one will ever guess this make ahead Savory Raspberry Pineapple Coeur a la Creme takes just 10 minutes to prepare. 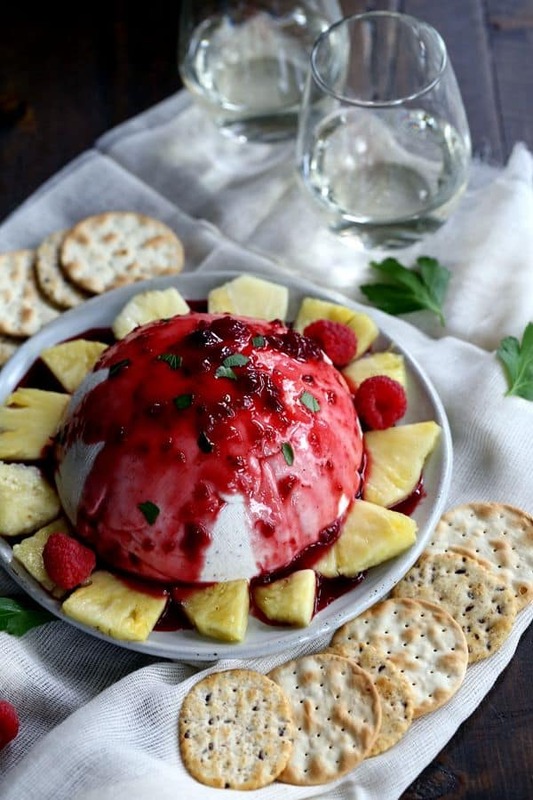 Cream cheese and heavy cream are combined to create an amazing spread that’s doused in a raspberry pineapple sauce, flecked with red pepper flakes. 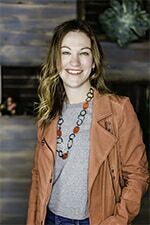 One of these days, I’m convinced Cleveland will get the memo and that the temperature will rise and really feel like Spring. 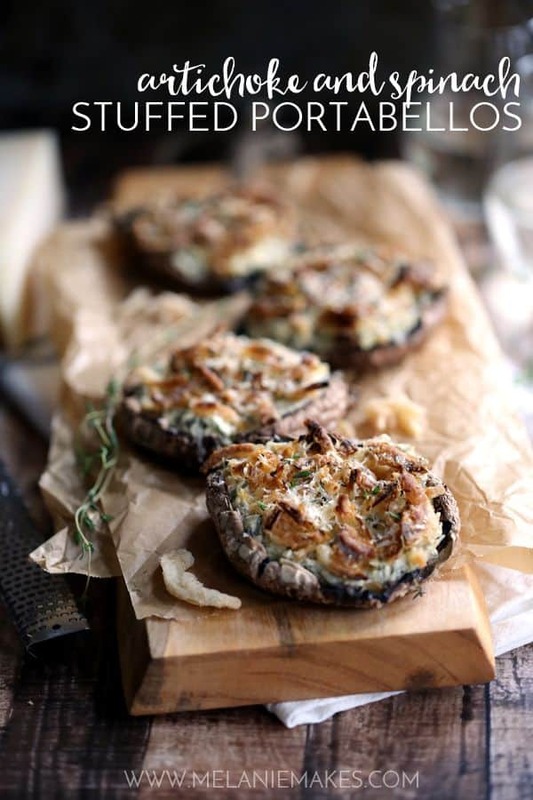 Until then, I’ll be in my kitchen dreaming up appetizers that I can serve over the long Memorial Day weekend, which I will likely spend packing a mountain of boxes, and that I’ll also serve to our new neighbors in Colorado in the hope that I knock their socks off. You know, so I can be the cool neighbor. This Savory Raspberry Pineapple Coeur a la Creme might sound fancy but feeds a crowd with minimal effort. Think cheeseball, but so much better! Cream cheese and heavy whipping cream are mixed together to create a light and fluffy spread. It’s then poured into a sieve lined with cheesecloth and chilled overnight to remove excess moisture. The delicate pattern the cheesecloth imprints on the coeur a la creme is such a great bonus! The finishing touch? 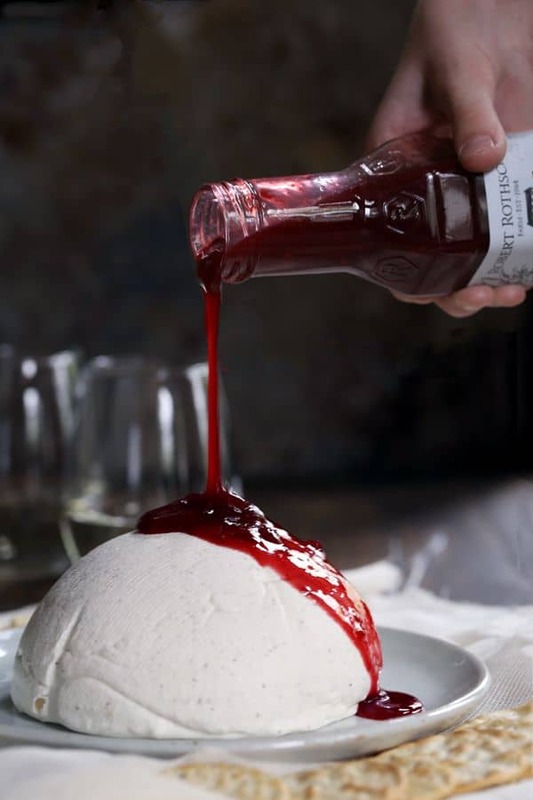 The cheese mixture is then doused with a raspberry pineapple sauce spiked with red pepper flakes. 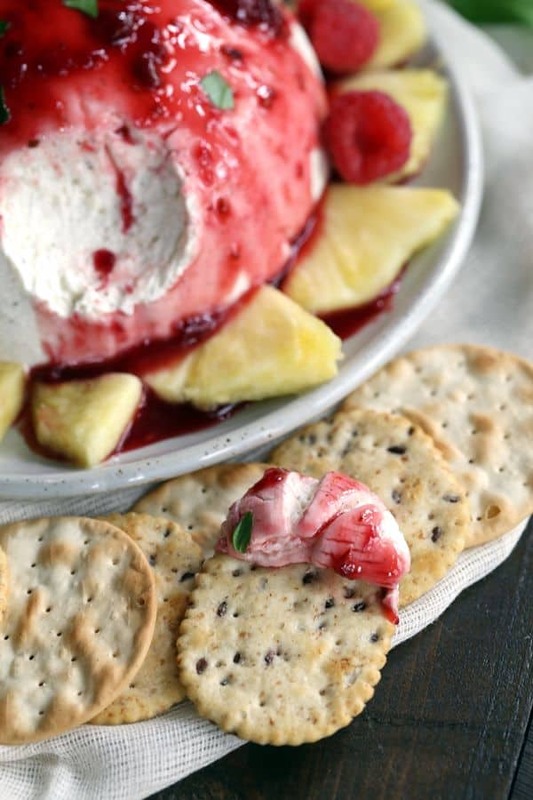 A quick garnish of fresh pineapple and raspberries and all that’s left is finding your favorite crackers as you race to take the first bite! 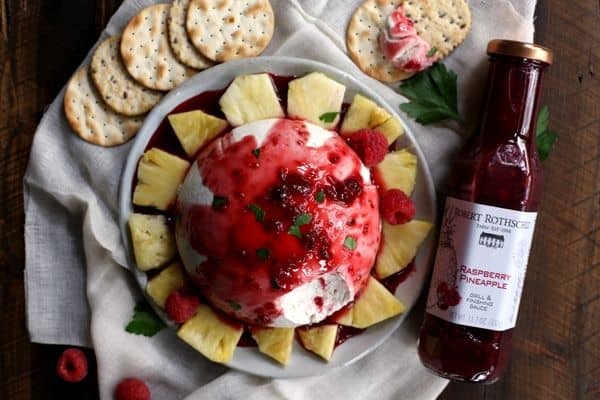 This Raspberry Pineapple Sauce from Robert Rothschild Farm takes this appetizer from okay to amazing in a single pour. Tangy pineapples and sweet raspberries are blended with a medium heat from crushed chili pepper and savory leeks to create a truly spectacular snack that feeds a crowd. That pineapple garnish? Not only does it add some color to the dish, it’s also delicious dipped into the couer a la creme itself. A true sweet and savory combination! In a medium sized mixing bowl, beat cream cheese with a hand mixer until smooth and creamy. Add heavy cream, lemon zest and juice, salt and black pepper and beat until thoroughly combined. Line the sides of a 6" sieve with cheesecloth, overlapping all sides. Pour cheese mixture into sieve positioned over a small bowl and fold sides of cheesecloth over cheese mixture. Refrigerate overnight, or 8 hours. Turn cheese mixture out of sieve and onto serving plate. 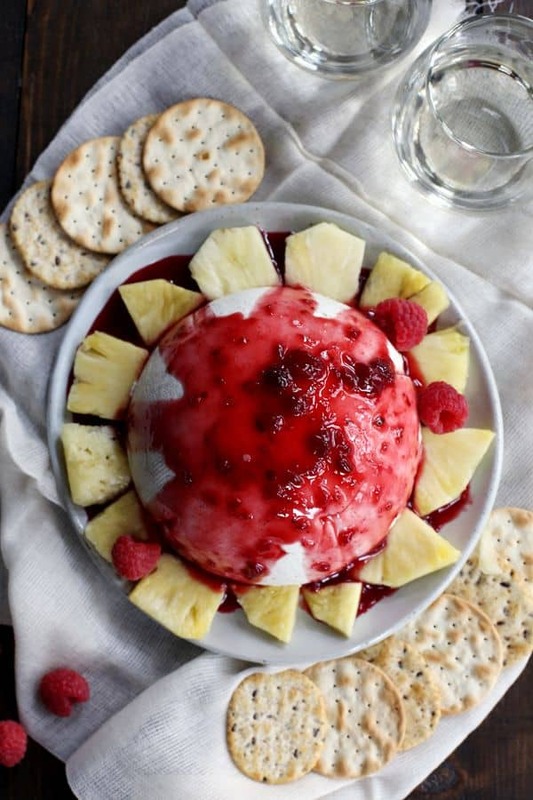 Pour Raspberry Pineapple Sauce over coeur a la creme and garnish with raspberries and pineapple. You may also garnish with chopped fresh parsley, if desired. Adapted from Savory Coeur a la Creme . There you have it. My 10 minute prep plan on how to win friends and influence our new neighbors. You’d totally be my friend if I invited you over to sample this Savory Raspberry Pineapple Coeur a la Creme, right? A definite party waiting to happen. 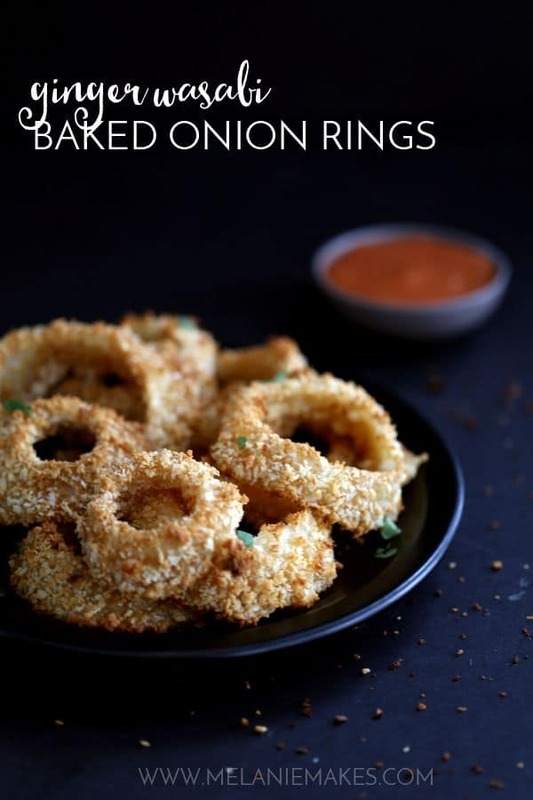 Looking for more great appetizer ideas? Hi, Sarah - I think you'd be able to swap out the pineapples for another garnish if you wish. No problem! Hello from North Carolina. 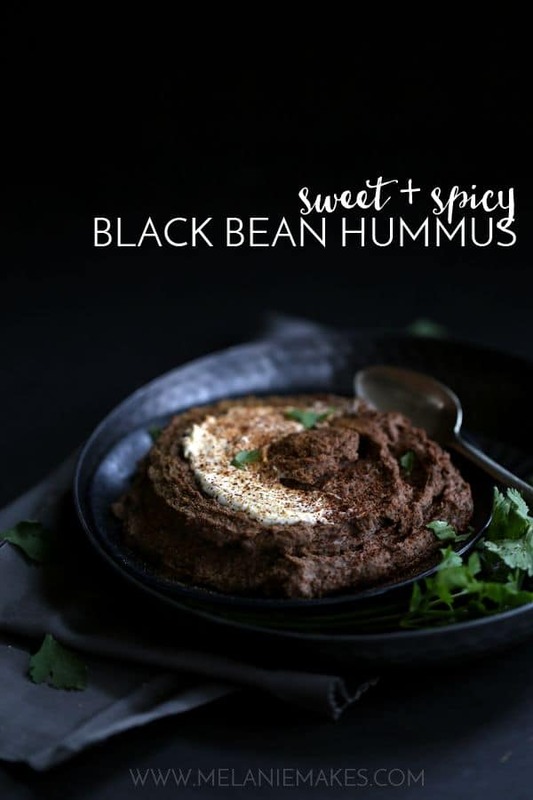 How do I find this recipe? It looks amazing. Thank you. I hope it warms up for you soon! And whoa. This looks delicious! I've never had anything like it. Thanks so much, Erin! It's such a great contrast in flavor! This looks delicious! I'm loving all the fresh fruit flavors! Oh my goodness....what have we here!? This looks divine!!! OMGosh! LOVE this so much! How did you know I needed to use a pineapple? What a beautiful appetizer! I need to find the raspberry pineapple sauce! Sounds heavenly!